Shieldaig Lodge Falconry is located in the grounds of the Shieldaig Lodge ; a recently refurbished Victorian hunting lodge set in a 26,000 acre estate amongst the mountains of the West Highlands of Scotland nestled next to the stunning Loch Gairloch, were we provide Falconry & Archery services on an appointment only basis; so why not treat yourself to a luxurious break at the Lodge whilst exploring your interest in Falconry? At Shieldaig Lodge Falconry, we provide Falconry & Archery services and opportunities for handling Owls, Buzzards and Hawks, Falcons and Eagles on a pre-booking system. Please note that we do not provide flying demonstrations or handling sessions unless pre-booked. Bookings can be made by contacting us. Whatever you choose to do, our experienced Falconers are on hand to advise on any activity you may wish to partake in, or event you wish to arrange - just give us a call. We look forward to seeing you soon! 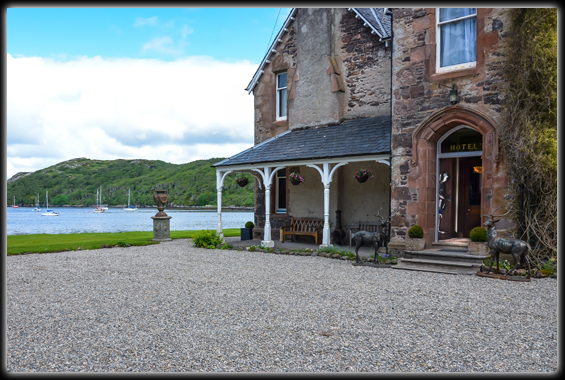 Travel to :- We are located at the Shieldaig Lodge Hotel which is located in the Highlands of Scotland at Gairloch, in Ross-Shire. Travel Plan :- Please click here for a map and to get directions from your start-off location. Please note that our Shieldaig Lodge Falconry branch is closed during the winter months. We re-open on Friday 12th April '19. For futher information, please do not hesitate to contact us. We look forward to seeing you when we re-open!